The Irregular Choice Barnacle Betty is definitely a shoe with the WOW! factor featuring an iridescent fish tail effect upper, buckle fastening t-bar and a super cute Barnacle Betty and friend embroidered embellishment. The Irregular Choice individuality doesn't stop there. Barnacle Betty has an unusual see through, blue cylindrical heel rising from a pink heel cap and decorated in stylised leaves and a flower. Inside, this court shoe is lined with beautiful colourful textile. 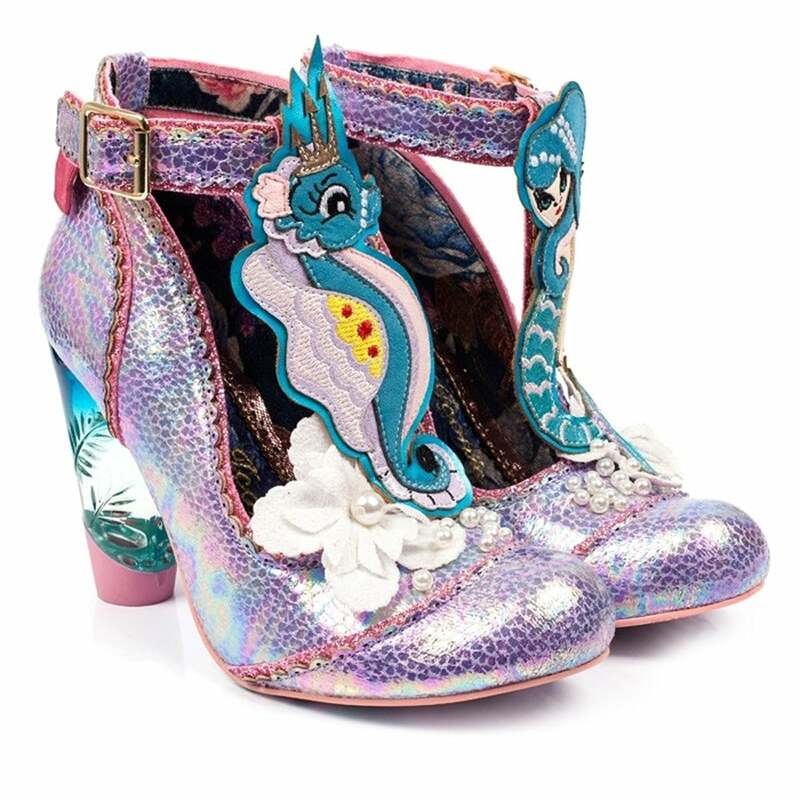 Wearing these magical Irregular Choice Barnacle Betty heels are sure to bring out your inner Ariel this season! Get yours today at Scorpio Shoes!